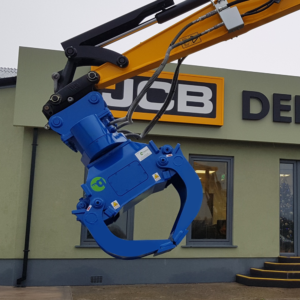 Our customers Dennison JCB invited us to their dealership in Templepatrick, Northern Ireland to have a look at a S75 Selector Grab we recently supplied in action on one of their 11ton JCB Hydradigs. 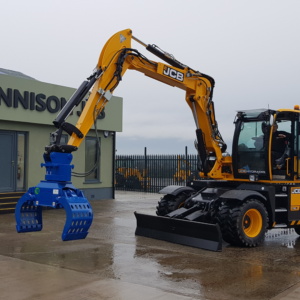 Best known for its leading quality construction, access & industrial equipment provision in the North of Ireland, Dennison JCB is widely recognised as an award winning dealership with a strong focus on customer service and aftermarket care, so we were delighted to get the opportunity to see one of our Selector Grabs on a Dennison JCB Excavator. The JCB Hydradig 110W is the first true wheeled excavator designed for purpose, from the ground up. By moving the engine, tanks and ancillaries to the chassis, the Hydradig lets you enjoy total all-round visibility with the ability to see all four wheels plus a 1m perimeter around the machine at ground level. 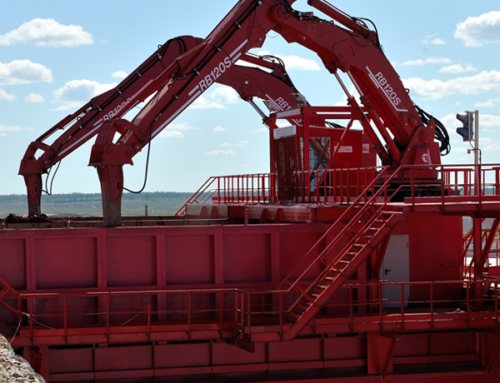 This makes it first for easier and safer operating in tight, crowded worksites. 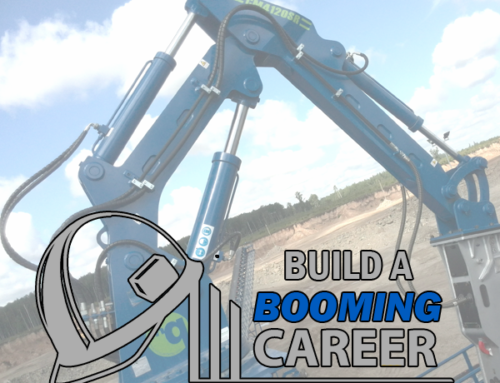 This combined with a top speed of 40mph, 4-wheel steer, 2-wheel steer and crab steer as standard makes the Hydradig an incredibly versatile and productive machine. 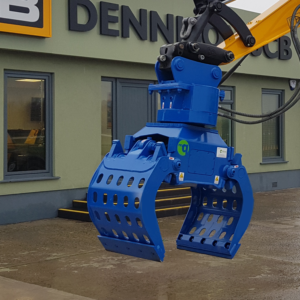 It is clear to see how the McQuaid S75 Selector Grab is the ideal excavator attachment for the versatile Hydradig. 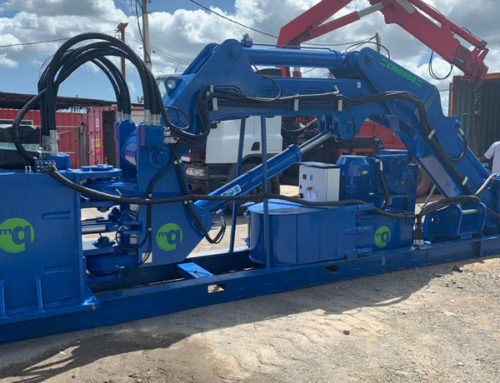 High grade material and precision design make it the perfect grab to carry out a series of roles including; materials handling, kerb placing and excavation tasks to name but a few. 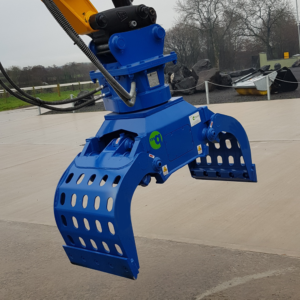 As with all our range of Selector Grabs, the S75 has perforated jaws giving a full view of the materials being handled and allows finer dust and gravel through. Manufactured from special steel built to ISO 3834 – 3 and ISO 9001:2015 standards, the perforated jaw skins are light yet strong and durable. 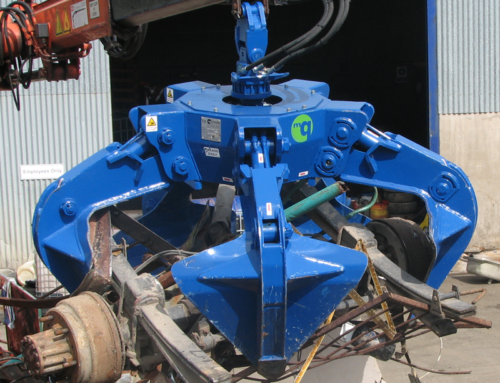 Our grabs are manufactured to have wide pivotal points and hardened, over dimensioned pins and bearings. 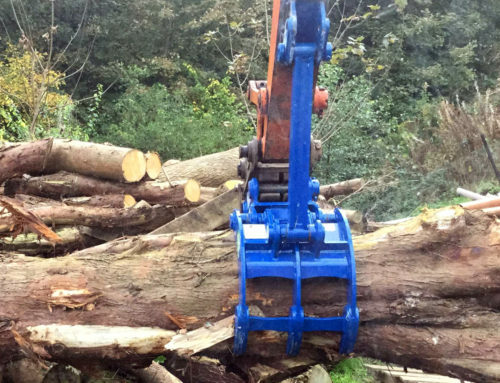 Extra wide bushes decrease the overall tension in the construction, prolonging the life of the grab. 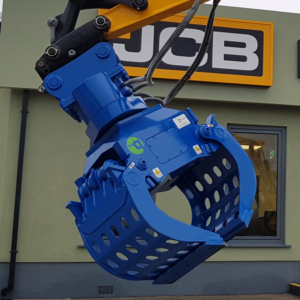 The McQuaid ingenious and maintenance free grab range can provide you with the ultimate excavator attachment for picking, demolition, loading and sorting a multitude of materials on a range of carriers from mini diggers to excavators. 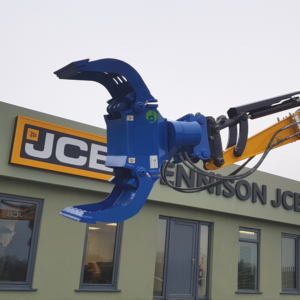 For further information on our range of Selector Grabs please click here.